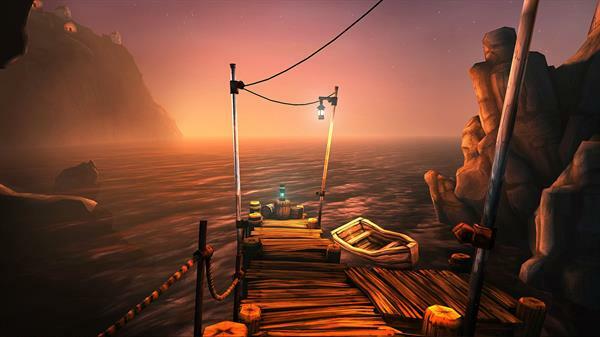 Developed by White Paper Games for the PC, Ether One is a game with an idea. What if you could help those suffering from dementia, by going into their memories and restoring them? It has you play as a Restorer, someone who has gone into the mind of a dementia patient to try and restore their memories of an old British mining town called Pinwheel. The area is completely devoid of any life, save for the communication of a doctor who is keeping in contact while you poke around and solve the mysteries of what happened. Progression in the story is done in two ways. The game can simply be played as an exploratory game, whereby you walk around the Pinwheel looking for clues as to what happened, in the form of an object you keep seeing everywhere. While this will get you to the end of the game in around 3 hours, a much deeper level of understanding as to the events can be obtained by completing the puzzles which lay all around the town. Once one is completed, a small, broken projector will come to life and give deeper insight into the patient, and the story as a whole. Sound in the game is handled rather well. The voiceover provided by the British Doctor keeps the otherwise quiet and lonely exploration interesting, which first mention subtle hints on where to go and what to do, and then as the game goes on, becomes one of the driving factors in making the story complete. 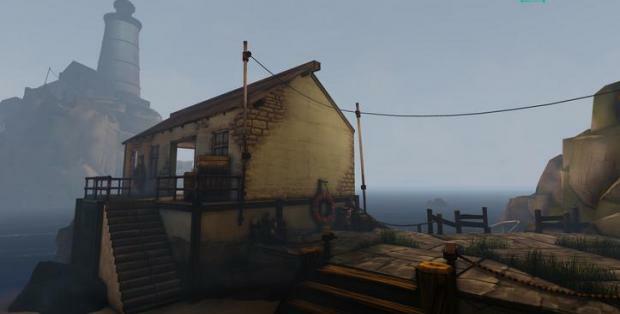 Ambient sounds in the game are also done well, whether the player is walking along a dock looking at boats and a lighthouse in the distance, or inside a core memory, where the tones shift to a more unsettling and unnerving environment. 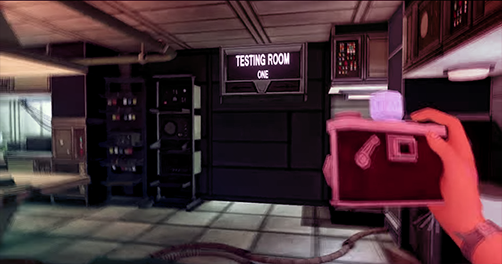 The puzzles are very reminiscent of older point and click adventure games such as Myst or Broken Sword, whereby they aren’t as straightforward as pull levers in a random order until desired effect is obtained. This requires some searching around the premises for any hints in notes left behind by previous inhabitants, posters on the walls or just by looking at the whole problem from a different angle. The items you pick up and the notes you read for these puzzles are all kept in a handy place you can visit whenever you feel, called the Case. In here, any objects you have collected can be stored on shelves (as you can only carry one item at any time). Under this area lies a slightly cluttered basement, which has a large board containing any of the notes and snippets of text which could help with a puzzle. However, the game is not for everyone. The very nature of a “game” where you simply walk around will be enough to put some people off. Puzzles within the game are thrown at you from every direction after you emerge into the quaint town, which can be overwhelming. The game trips up here as sometimes you are forced to look around for that small note or clue you missed. Also the puzzles do experience some repetition in the form of finding 4 digit codes to open a door or a safe. The storage for the items the developer chose to use is very reminiscent of Fable 3’s less than exceptional inventory. While here, it’s used to give a slight sense of realism as you couldn’t carry everything, it does sometimes lead to warping back and forth, looking for the correct item to complete a puzzle. The biggest gripe I personally had with the game was there was no contextual way showing that an object was interactive. While mostly it was just a case of looking at what would seem to be accessible, it still would have been nice to have the cross-hair change in some sort of subtle way to show that the player can indeed use or pick up the object. All in all, Ether one benefits from a caringly crafted environment with an interesting story to tell. It isn’t without its flaws with the puzzles sometimes being confusing and unintuitive, and the game by its very nature not having a very broad appeal. However, Ether One and White Paper Games should be applauded for it’s ambition to attempt something new and refreshing and the finale of the story is something that sticks with you long after you’ve quit to the desktop. This entry was posted in Uncategorized and tagged Ether One, PC, Steam, Video Games, White Paper Games. Bookmark the permalink. The pictures of the game look rather stunning, enough so to make me want to get a copy, and after this review I may just do that. Glad you liked the review. We should have an interview with the games sound designer soon so keep an eye out for that!